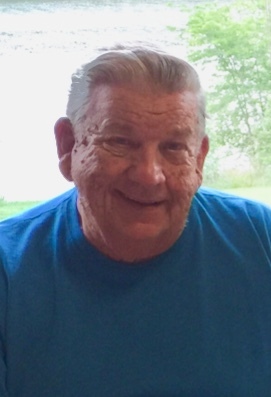 Charles L Olson age 80 of Coffeyville passed away on September 22, 2018 at Windsor Place. Charles was born on November 3, 1937 in Millersburg Michigan to Neils and Rosie (Temple) Olson. Charles was united in marriage to Nancy Sirucek in Twin Falls Idaho. The couple made their home in Labette City, KS then moved to Ulysses, KS and then settled down in Coffeyville, where they made their home for a number of years. Charles worked at Grandview in Parsons, KS and also was employed by the City of Coffeyville. Charles loved to spend time with his family and friends. Those left to cherish his memory are his daughter Tina Farrow of Coffeyville, brothers, Marvin Wilson of Greeley, Colorado and Jerry Wilson of North Dakota, sisters, Shirley McIntyre of Springfield, Missouri and Debbie Abrego of Olney, Colorado, grandchildren, Melvin Collins of Coffeyville, Kansas , Justin Collins of Cherryvale, Kansas, Jessie Collins of Canon City, Colorado, Charlie Farrow Jr. of Coffeyville, Kansas and Teresa Farrow of Oswego, Kansas, and great-grandchildren Makayla Farrow-Getman, Morgan Getman, Mason Weber, Jessie Farrow, Hailey Farrow, and Tyson Collins. He was preceded in death by his parents, wife Nancy, children Dennis Bossingham, Tammy Olson, and Charles Henry and brother David Wilson. Stuart “Gene” Schenck age 75 of Coffeyville passed away on September 23, 2018 at his home with his family by his side. Gene was born on December 4, 1942 in Independence to Clarence and Beulah (Swan) Schenck. He attended local schools and graduated from Independence High School, he continued his education at Independence Community College where he earned his associates degree. In 1960 at the Coffeyville Drive In Gene met the love of his life, Phyllis Farlow. The couple was united in marriage six years later in Wayside. Gene joined the Army National Guard where he proudly served until receiving his honorable discharge. The couple made their home in Coffeyville, where they were blessed with a son and a daughter. He cherished his family, being a devoted husband and very involved dad was his knack in life. From being involved with his sons Boy Scouts to playing with his daughter in the doll house he was there for his family in every way. Gene worked for Sherwin Williams until its closing and then going to SEKTAM where he was a machinist until his retirement in 2008. Some of his favorite hobbies were just being outdoors, fishing, camping, and anytime he could be with his grandchildren. Gene was a relaxed person, known for his easy going demeanor he was always one you could get along with and he loved to joke around with his family and his friends. Gene’s memories will live on with his wife Phyllis, son Chad Schenck his wife Misty, daughter Alisa Lindley her husband Geoffrey, grandchildren Alec, Kayla, and Jordan Schenck, Jacob and Olivia Lindley. He now rests with his parents and brother Jimmie Schenck. Bradley L. Smith. 39, of Coffeyville passed away Friday, September 21, 2018 at his home after a long battle with Cerebral Palsy. He was born on September 24, 1978 at Coffeyville to Buddy and Connie (Harrington) Smith. Bradley grew up and attended school in Coffeyville, graduating from Field Kindley High School in 1999. Bradley enjoyed spending time with his family and going to Wal-Mart. Survivors include his parents, Buddy and Connie Smith of the home; his sister, Jenny Hoggatt and husband, Dale of South Coffeyville, OK; brothers, Larry Allison and wife Tracy of South Coffeyville, OK, and Joe Smith and wife, Sherry Bromley of Coffeyville; nieces, Shianne Dale, Christen Dale and Autumn Allison; nephews, Dylan Allison and Dustin Bromley and wife, Erin; great-nephews, Christopher Dale, Owen and Liam Bromley and many more nieces and nephews. A Memorial Service celebrating Bradley’s life will be at 11:00 a.m., Monday, October 1, 2018 at the First Baptist Church in South Coffeyville, OK with Pastor Jimmy Harrington officiating. Inurnment will follow in Fairview Cemetery in Coffeyville. David W. Barnes Funeral Home of Coffeyville in in charge of arrangements. Thelma Mae (Martin) Carson was born December 28, 1931 at home in Coffeyville, assisting in her birth was her paternal grandmother Martin who was a midwife. Thelma died peacefully on September 22, 2018. She had been in Windsor Place Chelsea Unit since 2012. She graduated from Wann High School in 1949. She was on the basketball team and loved playing. She passed that on to her grands and great-grandkids. She went on to work at Nutrena Mill in Coffeyville after graduation, where she worked for 16 years before its closing. She then went to work for Farmland Refinery for 33 years until her retirement. She also enjoyed her work at Coffeyville Stockyard where she worked every Saturday for 35 years. She was known for her expertise at the 10 key. She would have a check out in a short time and knew all the customers. On February 8, 1950 she married Warner Carson in Nowata, OK that resulted in a son Tim. Her folks put on Rodeos while she was still at home and took care of the books and concession. That is how they made their spending money. They also took a whole rodeo to Mississippi in 1948-1949 before she and Warner married. She listed her greatest activities was watching her family compete in sporting events. Almost every Saturday night they were on the road to a calf roping to take Tim. She very seldom missed any basketball or baseball games to watch Staci and TA. Staci called her, her biggest fan. She enjoyed going to Branson to watch the shows. She took Staci and TA several times and enjoyed the time with them. Preceding her in death is her husband of 60 years, Warner in 2010, her parents, Clarence and Bessie Martin that passed within 5 days apart, brother Clarence Jr Martin, sisters Dorothy Tieaskie and Betty Meek, and nephew Bobby Joe Martin. Survivors include son Tim and wife Charlotte, grandchildren, Staci and Dusty Franklin, Tim A Carson and wife Missy, great-grandchildren Chase, Cody, and Cassidy Franklin of Minco, OK and Brett, Cade, and Callie of Manhattan, KS, sister-in-law Betty Martin and several nieces and nephews. It is the wish of the family for any memorial be made payable to the Chelsea Unit at Windsor Place. The family would like to thank Harry Hynes Memorial Hospice for assisting in her care after her stroke. 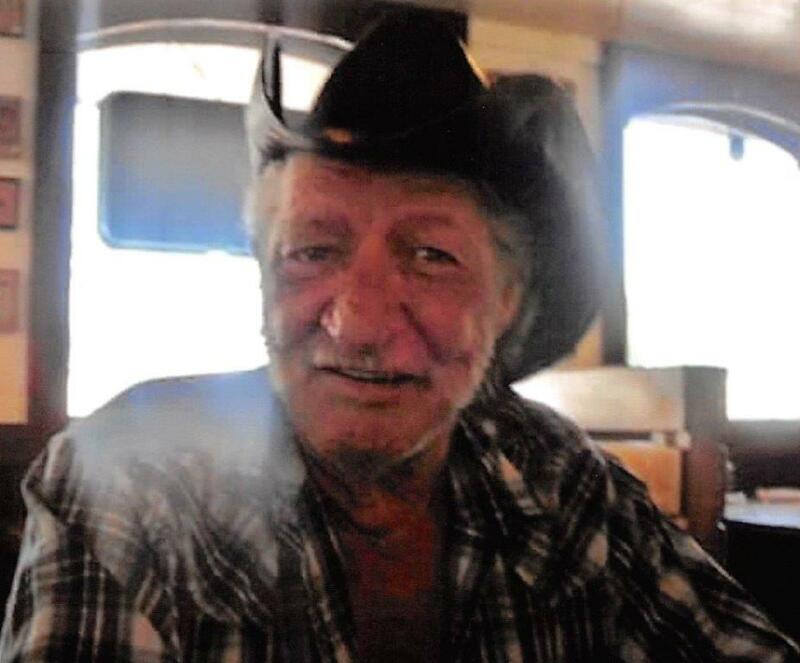 Raymond Dale Ross, age 64 of Coffeyville, Kansas passed away on September 20, 2018 at his home surrounded by his family. Raymond was born on March 7, 1954 in Coffeyville to Gene Autry Ross and Madge Irene (Timmerman) Ross. Raymond grew up in Coffeyville graduating from FKHS in 1972. A year after graduation he moved to Chanute, Kansas to work in a woodworking shop, learning to use all of the tools needed to build custom cabinets. He had various jobs over the years but that was by far his favorite. Raymond used his woodworking skills to build custom crosses that he would take to hospitals to give to patients, and to his church family. The kids at church were so excited to receive a cross from Raymond that they would often go looking for him to get one. Recently he used old celling fan blades to make crosses. On April 18, 1986 Raymond married Janet Elaine Dobson, in Miami, Oklahoma. Together they made their home in Coffeyville. Raymond thanked God always for the love of his wife, his family and his friends and for God helping him right up to his last day. He was also thankful for his faithful dogs, especially Summer Dawn who helped him to keep going till the end. Raymond was die hard baseball fan, rooting on his favorite team the New York Yankee's. Every year he looked forward to watching the Little League World Series, trying to predict what team would win. Until recently he had collected quite a collection of baseball memorabilia. Those left to cherish Raymond's memory are his wife, Janet of the home; sisters, Phyllis Dunham and Leona Vaughn both of Coffeyville; cousins, Linda McFall and her husband Roger also of Coffeyville, Ronnie White and his wife Crystal of S. Coffeyville; best friend, Jim Oskinson of Coffeyville; a host of nieces, nephews, and great nieces and nephew as well as a host of friends. In addition to his parents, he is now at rest with, a niece, Stephanie Pruitt. Jean Ann Quaglione, 100, of Coffeyville, KS, passed away Monday September 17, 2018. She was born on May 30, 1918, Liberty, KS to Daniel J. and Jennie T. (Strecker) Maher. She attended school at Pleasant Valley School in Montgomery County. In 1938, she graduated from Sacred Heart Academy (Newman University), in Wichita, KS. She attended Coffeyville Community College. In 1939, she accepted a Civil Service appointment as Secretary to the Chief Accountant of the Civil Aeronautics Administration in Washington, D.C.
On December 5, 1942, she was united in marriage to Nunzio “Tony” Quaglione, of Baltimore, MD, at All Saint Catholic Church in Liberty, KS. During World War II, Tony served as a Baker Instructor at Fort Belvior, VA, and then served with the 478th Engineers in Iran (Persian Gulf Command) and the 7th Army, European Theater. After the war ended, they lived in Baltimore, MD, where Tony was manager of Martin’s Bakery. In 1952, Jean and her husband purchased Volz Bakery in Coffeyville, KS. The bakery was located at Second and Elm. In 1953, the name was changed to Tony’s Bakery. Tony’s Bakery was the first business to open in the Fourth Street Shopping Center in 1956. After the fire destroyed the shopping center on November 26, 1976, they leased space from Troy Borum in NuWay Foodliner. They continued operation until retiring and selling the bakery in 1983. They were in business for 32 years in Coffeyville. Tony died August 26, 1998. They were married 56 years. Jean was a member of Holy Name Catholic Church; Holy Name Altar Society; St. Ann’s Circle 4; life member of CRMC Auxiliary; Coffeyville American Legion Auxiliary Post #20; V.F.W. Post #1022; former member of the Coffeyville Area Chamber of Commerce; member of the Kansas State Baker’s Association; member of the American Retail Baker’s Association. Survivors one daughter Jeannie Unruh and husband Tony of Coffeyville; Son-in-law Bob Fox and wife Lauren of Kansas City, KS; four grandchildren; Toni Marie Hansen and husband Hawley of Ashburn, VA; Stephanie DiPilla and husband Larry of Laurel Springs, NJ; Tony Unruh and wife Katie of Overland, MO; Jennie Thompson and husband Tony of Kansas City, MO; eight great-grandchildren: Emily, Anthony, Cameron Hansen, Austin Olson, Lauren DiPilla, Nunzio and Harrison Unruh, Sophia Thompson. She was preceded in death by her parents, her husband, one son Tony; one daughter Mary Jo Fox; two brothers, John and Ignatius Maher; five sisters: Agnes Schicke, Katherine Blaes, Myrtle Schicke, Josephine DeTar and Mary Staton. A Rosary Vigil Service will be at 6:30 p.m., Friday, September 21, 2018 at Holy Name Catholic Church. Mass of Christian Burial will be at 11:00 a.m., Saturday, September 22, 2018 at Holy Name Catholic Church with Father Daniel Lorimer officiating. Burial will follow in Calvary Cemetery. Friends may call on Friday from 10:00 a.m. to 5:00 p.m. at the David W. Barnes Funeral Home in Coffeyville. In lieu of flowers, the family suggests memorials to Holy Name Catholic School; contributions may be left with the funeral home or mailed c/o David W. Barnes Funeral Home, 306 North Cline Road, Coffeyville, KS 67337. David W. Barnes Funeral Home in Coffeyville is in charge of arrangements. Cora Mae (Young) Bolden of Coffeyville passed away on August 31, 2018 at KU Medical Center in Kansas City, Kansas. Cora was born on August 5, 1943 in Shelby, Mississippi to the late Douglas Young and Jessie Young. To this union eight children were born. Cora was the first daughter born of these children. Cora spent her childhood growing up in Memphis, Tennessee where she received her education and graduated from Mitchell Road High School in 1961. At an early age, she accepted Christ as her Lord and personal Savior and attended St. Paul Church of God in Christ, in Memphis Tennessee. After graduation she moved to Chicago, Illinois, where she studied at Chicago University. In 1962, she met Mack Arthur Tompkins Jr. and to that union of three years was born a son, Mack Tompkins. Cora was employed by Mars Candy Company and worked there for ten plus years. While residing in Chicago, Cora met the love of her life of fifty-three years, Robert E. Bolden. To that union was born a son Curtis Alexander Bolden in 1971. In 1983, the family moved to Coffeyville, Kansas. Thereafter, Cora worked at Coffeyville Regional Medical Center (CRMC) for a short time. She was later employed at the Kansas Army Ammunition Plant in Parsons, Kansas where she then retired after eighteen years of service. Cora was well known through the community and became a Foster Parent to many children. She loved to decorate, cook, bowl – an awesome bowler at that, to where she even won many tournaments. But most of all she loved to spend time with her family. 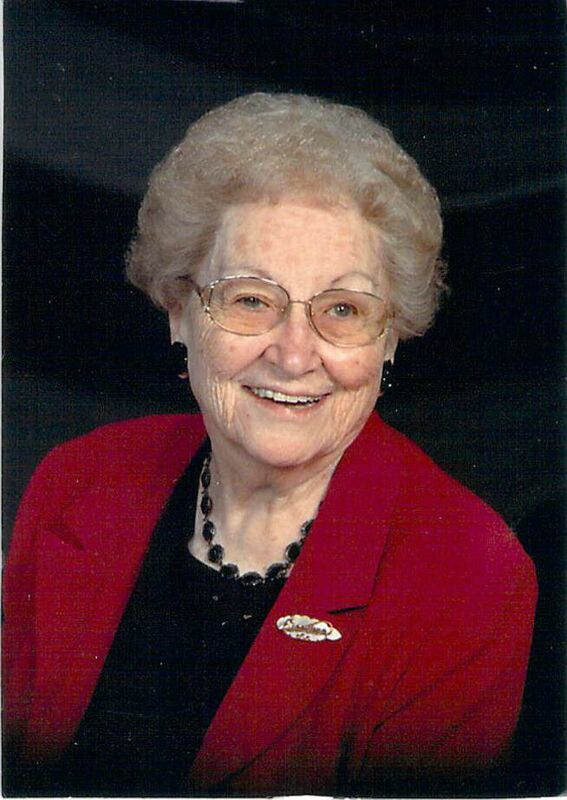 Cora was a member of the Berean Christian Mission Center for many years in Independence, Kansas. When her health began to fail she united with Sardis First Missionary Baptist Church under the late leadership of Dr. V.O. Horn. Cora was quiet, soft spoken, and a gentle person who hardly ever met a stranger and treated everyone she knew with kindness and love. Her loving husband, her sons, and her grand and great grandchildren was her passion. Cora was especially proud of her grandson Curtis Bolden Jr. (C.J.) for all of his help and achievements. Cora was preceded in death by her parents and three brothers, Michael Carl (Pete) Young, Howard Young, and Andre Young. Cora leaves to cherish her memory, Husband – Robert E. Bolden, Sons – Mack (Renee) Tompkins, Bellflower, California and Curtis Bolden Sr., Kansas City, Kansas, Brothers – Eugene Young, Chicago, Illinois, John (Mary) Young, Chicago, Illinois, Alva Young, Merrillville, Indiana, and a Sister – Beverly (Burl) Love, Inglewood, California, and a Sister-In-Law – Virginia Young, Detroit, Michigan. She also leaves behind six grandchildren, five great-grandchildren, a host of nieces, nephews, cousins, relatives, and friends.